Looking for MIDI cables? We've got the right selection just for you available at N Stuff Music. 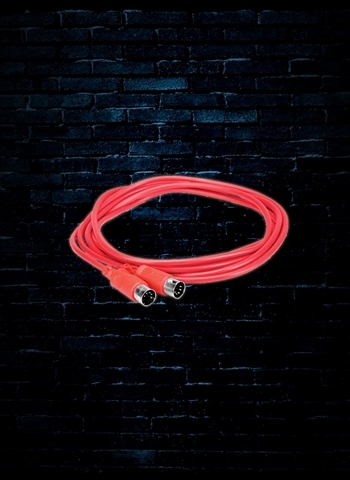 MIDI cables have an assortment of various purposes. 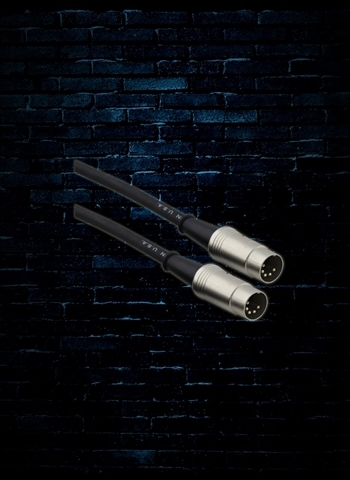 Any MIDI data based instruments or input devices need MIDI cables in order to operate. MIDI has become incredibly popular as technology in the music world consistently grows. Now with a variety of software programs for music input, sampling, composing, and recording, developing MIDI skills has become an essential part of being a professional musician, DJ, recording engineer, or educator. If you're looking for MIDI gear such as input devices or cables you can find them available here at N Stuff Music. 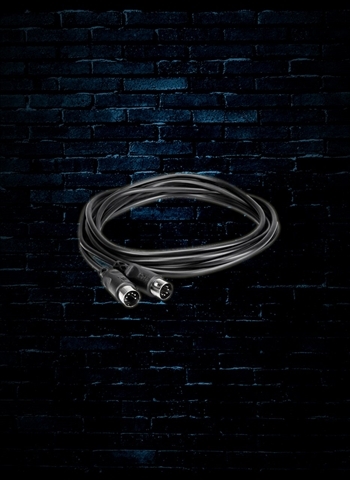 MIDI cables are not only used for MIDI devices. Instead, you'll find that many guitar footswitches will connect to an amp via MIDI connection. If you have MIDI keyboard controllers, samplers, or other MIDI-driven devices in order to plug into interfaces you'll need MIDI cables so that you can utilize your favorite programs. Finale, Sibelius, Pro Tools, Abelton, Reason, and other programs contain an abundance of different applications for MIDI that allow you to compose, notate, or record music directly into them. You can use your MIDI input devices like MIDI keyboards, MIDI guitars, or other instruments to record music directly into Abelton or any other program that will then allow you to sample, add effects, coloration, and ultimately create music directly in your DAW. Skills with MIDI devices have become sought after in the music world in today's climate. Music notation programs such as Finale, Sibelius, and others, are used all the time in composing, producing, transcription, and all types of applications. University and scholastic programs are incorporating music notation input into curriculums so that students develop these skills. With MIDI devices you can begin to learn how to effectively notate in programs and garner an important skillset in the competitive music world. For all of your MIDI questions feel free to direct them to us here at N Stuff Music and we will be sure to guide you in the right direction. Some of our representatives have in-depth MIDI experience and know the ins and outs of music technology. Contact us via our website chat, by email, over the phone, or in person at our store's location.